Amercian hi-fi bringers of beauty Klipsch has once again whacked out a pair of decent sound-makers - only this time it has made them easier on the pocket. 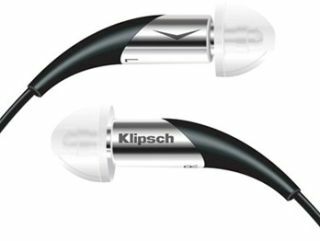 The Klipsch Image X5 earphones are 2mm larger in diameter than the orginal Images, but then again they cost more than an elephant. However, the 'phones offset that by having small enclosures, and maintaining single full-range drivers inside. The silicon tips make your ears feel like they are plated with silk (possibly), and are pretty lightweight for those of you who like to keep them in your pocket, only to find them inexplicably tangled three seconds later. The current Images retail for around £200, so expect the next generation to be less than that when they are released (likely this year). We’re hoping for around £9.99, but then we're skint journos.